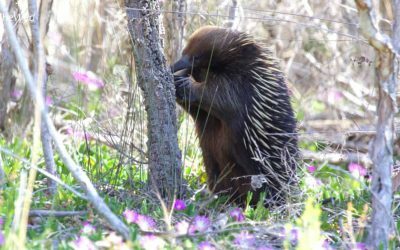 Connect with nature on this fully-inclusive small group wildlife safari into the biodiverse forests of East Gippsland: southeast Australia’s coastal wilderness. Photograph wild koalas in magnificent stands of giant eucalypt forest, walk in rainforest listening for lyrebirds, watch sea-eagles soar along untouched ocean beaches and find huge goanna lizards beside secluded rivers and waterways on a wildlife safari in south-eastern Australia. 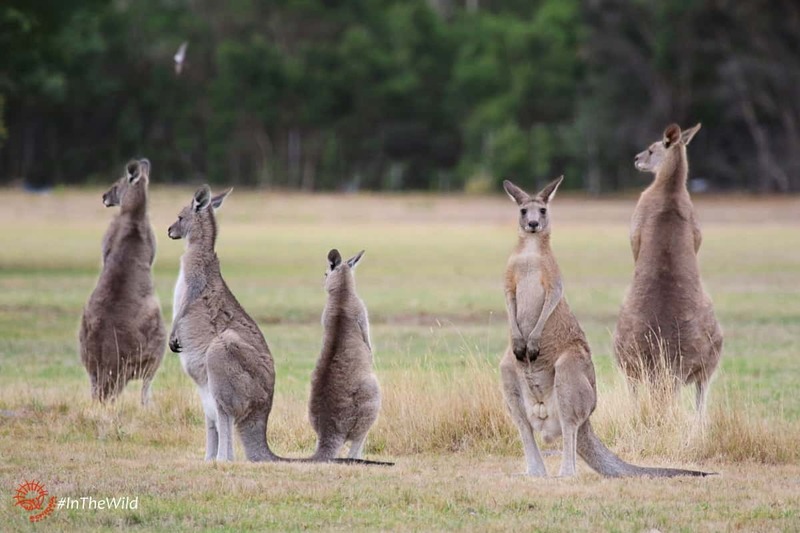 Travel with an experienced naturalist Wildlife Guide who will show you where to look for wild wallabies, kangaroos, echidnas, parrots, cockatoos, black swans and many other exciting Australian animals. Help conserve and protect the wildlife and beautiful places you see on this Australian wildlife safari. Spend a little time on a glorious beach removing fishing nets (ghost nets) to prevent marine entanglements of fish, birds and sea mammals. Share this remote area with your Wildlife Guide, but very few other people. Each night return to the comforts of an owner-operated lodge. 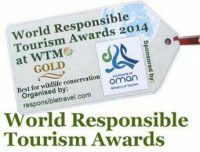 At the end of the journey all participants will receive a certificate of thanks for helping wildlife conservation, a full species list of everything they’ve seen, and the satisfaction of knowing they have given something back to the environments and animals visited. Minimum age for this tour is 13 years. Parties with younger children may request a private tour. Location: East of the city of Melbourne in south-east Australia. Visit Snowy River, The Lakes and Croajingolong national parks, Cape Conran and Lake Tyers Forest Park. *Note: Departure day for this tour has recently changed from Sunday to Monday. During the transition, availability on some external sites will still show Sunday departures. Or book a Private Tour just for your party – Enquire here. The private Wildlife Journey tour will be customised just for you – please contact us with your group size & interests. 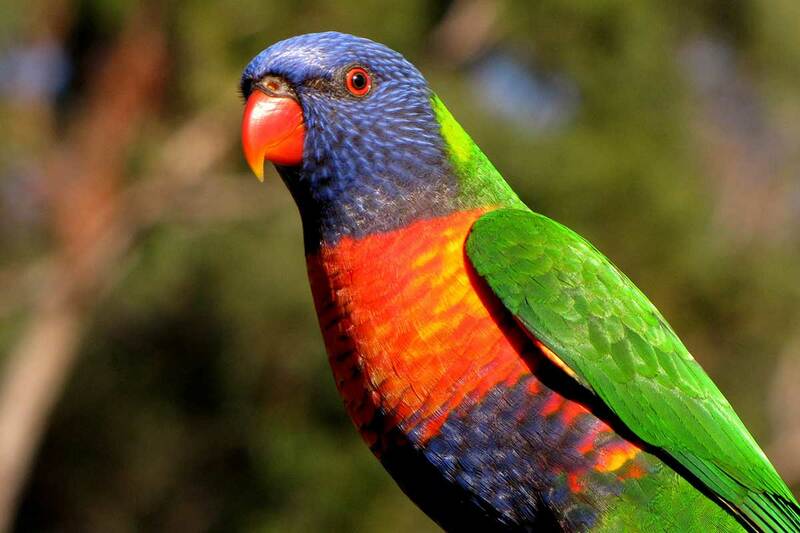 East Gippsland is famous for it’s forest wildlife, particularly big mammals, birds and reptiles. It is a fabulous place for parrots and cockatoos – they are numerous, visible and noisy. This wildlife safari tour in south-eastern Australia is a great chance to see some very shy forest-dwellers: Koalas, Wombats, Swamp Wallabies, Superb Lyrebirds (best seen and heard in Spring), Yellow-tailed Black Cockatoos, King-Parrots and Eastern Whipbirds. 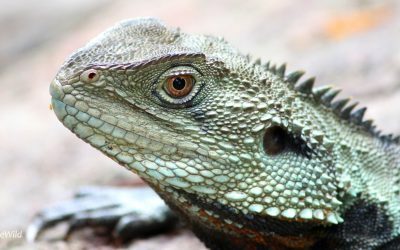 In the warmer months we enjoy watching Lace Monitors (Goannas) prowling the forest floor for food, and Gippsland Water Dragons sunning themselves on waterfalls. 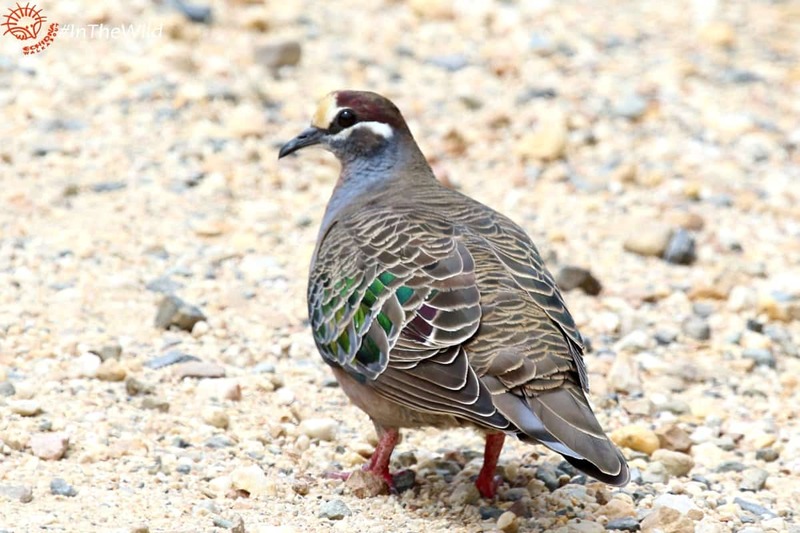 We often see Satin Bowerbirds, Rufous Fantails, Laughing Kookaburras, Golden Whistlers, Yellow and Rose Robins, 10 species of cockatoo and parrot, and up to 14 species of honeyeater. Along the coast and estuaries we often see Australian Fur Seals, White-bellied Sea-Eagles, Pelicans, Gannets, cormorants, oystercatchers, herons, Black Swans and many species of duck. We sometimes see an Echidna, a whale or a Bottlenose Dolphin. The wildlife of the plains lives here too – we often see Eastern Grey Kangaroos, Red-necked Wallabies, Wedge-tailed Eagles, Emus, Galahs, Eastern Rosellas, ibis, Australian Magpies, Magpie-larks and Willie Wagtails. We usually only see snakes and spiders when we are looking for them and when conditions are perfect. There is no need to fear. Your Guide will be as interested in them as in all wildlife, and will look out for them and ensure you see them at a respectful and safe distance. Several of Australia’s threatened species live in this area, and we will be taking particular note of any sightings of Hooded Plover, Little Tern, Little & Intermediate Egret, Lewin’s Rail, Royal Spoonbill, Powerful Owl, Blue-billed Duck, Sooty Oystercatcher and Glossy Black-cockatoo. 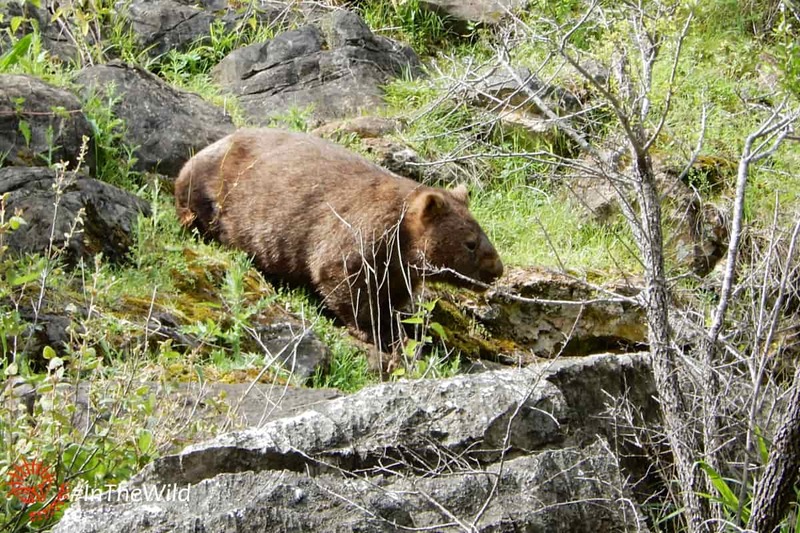 Note: we go to enormous effort to ensure great wildlife sightings on every tour. 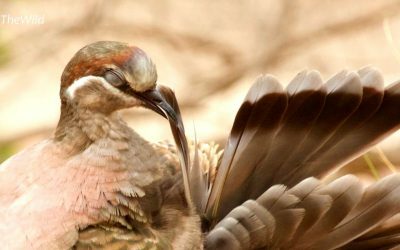 Our Wildlife Guides prepare for each tour by studying recent sightings and seasonal trends, and then compile a comprehensive list of species at the conclusion of the tour for future reference. Some species are migratory or seasonal – contact us about the best time to come if you would particularly like to see a certain animal group. Note, we do not guarantee sightings of any wild animal. See the blog entries below for recent trip checklists. Just by being there, you are helping wildlife – your Wildlife Guide records all species seen and uploads this data to online atlasses for wildlife conservation purposes. 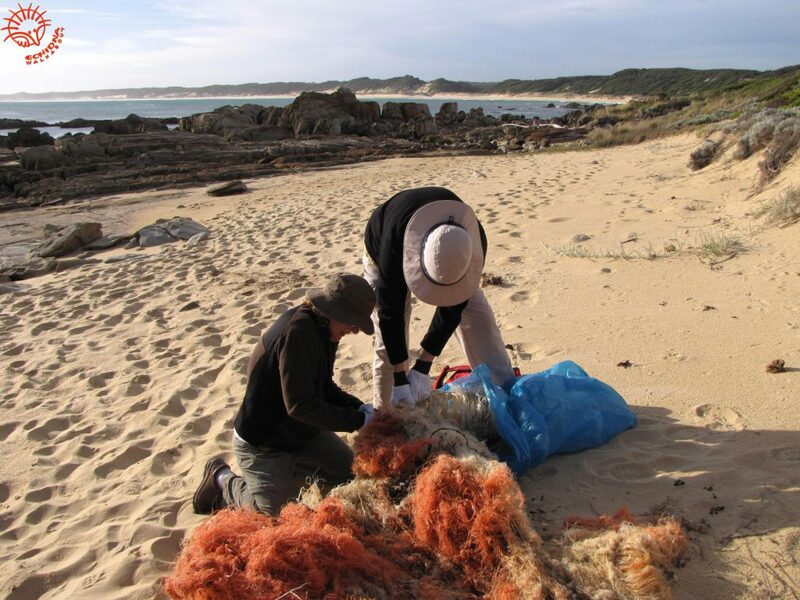 In addition on this wildlife safari you will be offered the opportunity to remove Ghost Net – discarded fishing net – from the beach at Cape Conran on the third day. It is fun and easy, and over the last three years we have removed large quantities of this dangerous hazard to marine life. In fact we’ve removed so much that we are rapidly running out of ghost net on the headland, and if we can’t find any we will do a beach clean-up instead. Read about our progress here. These activities are completely optional, no obligation and take up very little time. All guests who provide their email address will receive a certificate of thanks, and will be provided with use of all equipment necessary to perform the tasks. Strong walking shoes or boots, outdoor clothing to suit variable weather conditions (please check weather forecast for accurate predictions), sun hat, rainproof coat, small torch (flashlight), insect repellent, 15+ sunscreen, daypack and 1 litre re-usable water bottle. Camera and binoculars are recommended. You can also bring swimming gear. Drinking Water: Tap water is completely safe and drinkable and available at the B&B on this tour, and a large fresh storage is carried on board the vehicle each day. We recommend you bring a re-usable water bottle which we can refill during the day. If you don’t like to drink tap water we highly recommend you bring a filter to reduce plastic waste. Wildlife Journey includes: Full interpretation by an experienced Wildlife Guide, all transport, meals and accommodation as described below and entry fees. Duration: 4 day vehicle-based wildlife safari. Departs and Returns to Melbourne, Australia accommodation. 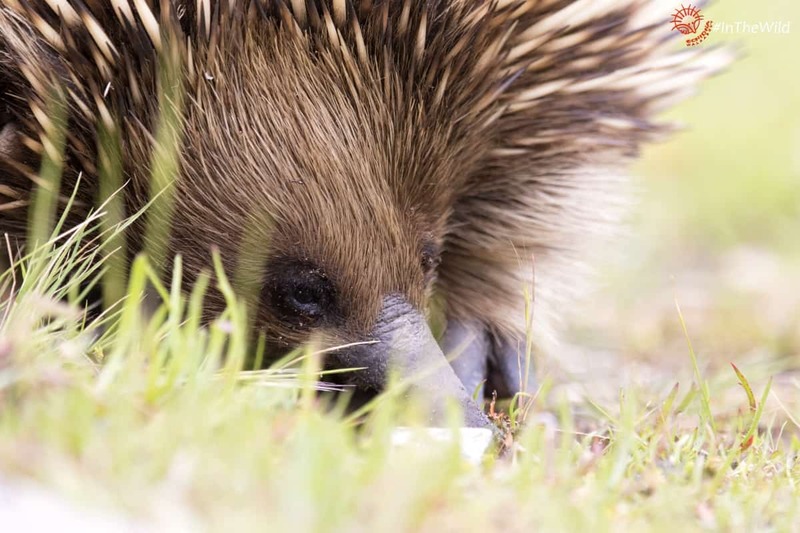 Expert Wildlife Guides: Echidna Walkabout’s Wildlife Safari Guides are recognised as some of the best in Australia. Our Wildlife Guide training program ensures that all Guides have an in-depth knowledge of the wildlife and environments you will see. They are friendly, knowledgeable and passionate about wildlife – some of them have over 20 years experience working with wild animals, several are volunteer wildlife carers and rescuers and most have travelled extensively throughout Australia and the world. Many hours of wildlife research work precede the tour to ensure that you see and learn about native wildlife in its natural environment. Guides carry two way radios and mobile phones which link them to other Wildlife Guides and to emergency services. Guest safety is of paramount importance to us. Accommodation: 3 nights accommodation is at a Homestead-style Bed and Breakfast in far East Gippsland. B&B’s are carefully selected for friendly, first class hospitality and service – they are run by the owner so you will get to know the locals during breakfasts and one evening dinner. All rooms have ensuite bathrooms. Free WiFi is available at the Homestead. Meals on tour: All meals are included, from lunch on Day 1 to lunch on Day 4. NB Vegetarian, gluten-free, pork-free or other food preferences should be noted at the time of booking. Some meals are carried on board the vehicle, or ordered in advance. We can only cater for allergies and special food preferences that we are informed of in advance. Easy walking: Although this tour is vehicle based, most of the day is spent outside the vehicle on a number of easy, flat terrain, bushwalks so that you can get close to nature. Passengers must be able to walk unassisted at least 3km (2miles) on uneven dirt surfaces to ensure wildlife sightings. There may be up to 3 walks of this duration during each day. East Gippsland is famous for it’s forest and coast wildlife, particularly big mammals like kangaroos, koalas and wombats, birds and reptiles. This tour is a great chance to see some very shy forest dwellers in their natural habitat. Departures and returns are from your Melbourne accommodation. 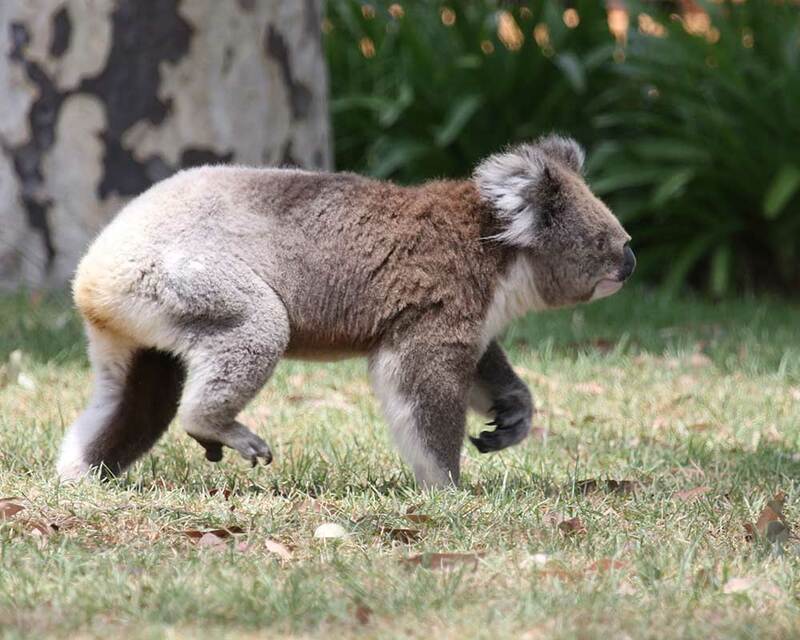 Travel past internationally acclaimed RAMSAR wetlands of the Lakes District of East Gippsland before travelling by ferry to an island sanctuary in the wetlands with a thriving colony of wild Koalas. We take a walk through the forest spotting these delightful animals in the wild, and learning about their lives. 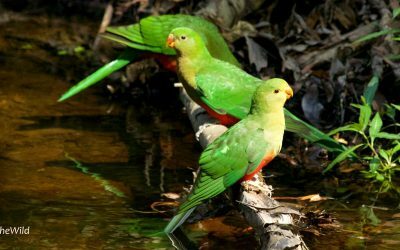 We may also see Echidnas, Wallabies and Kangaroos and many colourful parrots, honeyeaters and seabirds which you can help record for conservation purposes. Tonight’s accommodation is a homestead in a small town where you will stay for three nights. (L,D included). Accommodation: Snowy River Homestead, Orbost, or similar. After a relaxing breakfast we travel into the rugged mountain forests of East Gippsland. 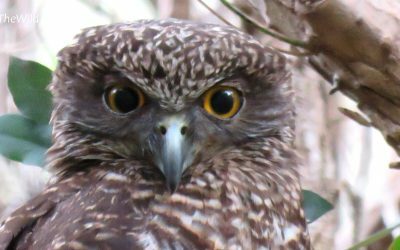 The diverse forests of East Gippsland are the reason that wildlife is so abundant. Today we will visit both dry and wet mountain forests, visit the famous Snowy River, and walk beside a wilderness creek where the landscape changes dramatically from the sunny, dry slopes to the near-rainforest of the gully. 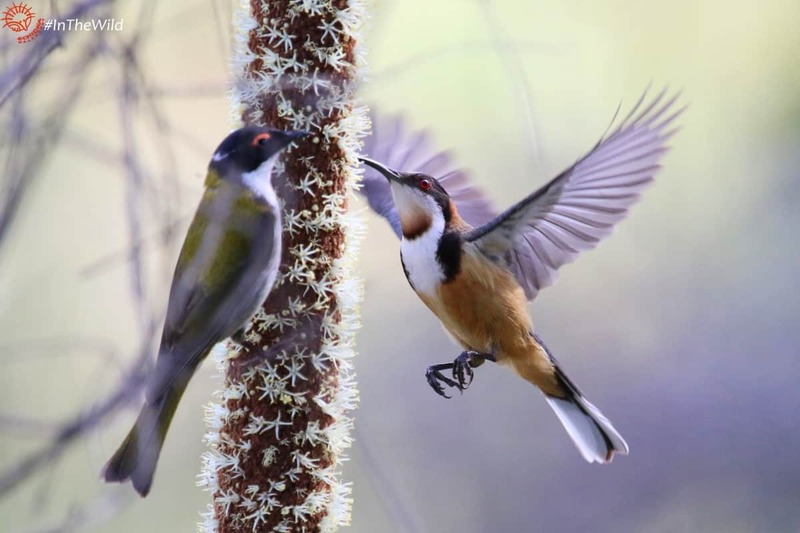 Your Wildlife Guide provides detailed information of the formation of these mighty forests, and helps you search for Lyrebirds, parrots, goannas, wallabies and honeyeaters. 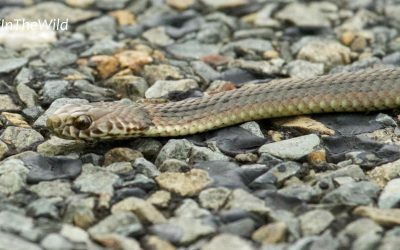 Birds and reptiles are abundant, but other human visitors are few. Accommodation: Snowy River Homestead, Orbost, or similar. First we walk into a large lowland (warm temperate) rainforest in search of birds and wallabies. Then we walk through a heathland and along a forest-lined river to its estuary in Australia’s Coastal Wilderness. We search for Sea Eagles, cockatoos, kingfishers, swans and huge goanna lizards. We visit a quiet beach with a complex dune system and frequently see beach and ocean-going birds. After lunch we take a walk on the nearby rocky headland, peering into rock pools, walking past wind-sculpted coastal shrubs looking at the expanse of the 90 mile beach. We spend a little time on a beautiful beach removing old fishing nets – they wash up from the sea, and sometimes wash back out, where they trap and kill sea creatures. Our dinner tonight is a picnic in the bush overlooking the beach (weather permitting). On our way back to our Homestead we search the plains for wallabies, kangaroos and wombats. (B,L,D included). Accommodation: Snowy River Homestead, Orbost, or similar. This morning we depart East Gippsland after one last visit to the beach at the Mouth of the Snowy River. On the way back to Melbourne we visit the Krowathunkoolong Keeping Place, an informative Aboriginal Cultural Centre in Bairnsdale. We also search for Grey-headed Flying-foxes in their daytime roosts beside the river at Bairnsdale (a large colony set up there in 2013, and at the time of writing provide great viewing opportunities. They may move on at any time though). We then transfer to Melbourne arriving in the late afternoon (B,L included). NOTE: this itinerary is an indication only. Due to conditions on the day, weather and National Parks requirements, it can change slightly to maximise wildlife viewing opportunities. Great 4 days exploring and watching wildlife. Beautiful parks, forests, beaches. Tons of wildlife each day. B&B lovely with great hosts. Brett guide knowledgeable, flexible, fun. Food great. Time passed too quickly. Worth every penny. Picnic dinner watching sunset at beach incredible. Learned tremendous amount about animals and history of land. Great from the moment Martin picked me up to the moment he dropped me off 4 days later. We covered an amazing range of different areas in East Gippsland; from an island sanctuary where we saw at least 15 different wild koalas! (as well as 4 echidna) to the rugged mountain forests of Snowy River. Martin was the perfect guide; informative, knowledgeable and friendly! I would recommend this tour to anyone wanting to have an in-depth experience of Aussie Wildlife. An amazing experience I can highly recommend. Our guide, Martin, was very knowledgable and an excellent host. He knew where to go and spotted a lot of wildlife: kangaroos, koalas, wallabies, a lot of different birds as well as echidnas (very close to us) and possums. Echidna Walkabout’s organisation was flawless. I took my 14-year old grandson on this wonderful tour of East Gippsland. The tour was superbly organised, with each day planned to show us a different area, from the Snowy Mountains to coastal lagoons, each with its own distinctive wildlife. Driving alternated with walking – perfectly manageable for an old fellow like me. We could hardly believe how rich in wild creatures the region is – and how few human beings we saw. Our guide, Martin, was incredibly knowledgeable and brilliant at spotting and identifying birds, animals, insects, snakes. So, along with koalas, wallabies, kangaroos, and possums, we saw rare birds such as lyrebirds, brown goshawks, eagles, and kites (Martin identified over 100 birds for us! ), a colony of flying foxes, a pod of dolphins and a red-bellied black-snake. We stayed at Snowy River Homestead and our hosts Glenn and Sue helped make this a holiday I shall always remember and which my grandson will hopefully remember long after I have gone! We enjoyed our 4 day trip to East Gippsland very much. Martin was an excellent guide who worked very hard to give us a great experience. He was very knowledgeable and his sense of humour added to our overall enjoyment. If you want to see wildlife in Australia, this is the tour for you. We learned SO much on this tour! Guide was extremely knowledgeable, enthusiastic, & passionate about wildlife and about conservation. She involved us with teaching about the animals/birds and making an effort to get us up close. We did get quite close to kangaroos, to koalas, Fruit Bats (Flying Foxes), to beautiful birds – multiple times, and we even got close to a wombat. East Gippsland contains 60% of the large mammals and 40% of the bird population of Australia. Excellent! My wife and I spent four incredible days in East Gippsland. Very special touches were a sunset dinner on the shores of the Southern Ocean and a nighttime walkabout. We found pretty much all of the uniquely Australian wildlife we hoped to see in a wide variety of habitats: families of adorable koalas to the echidna that meandered right up to our feet, and over 100 species of birds. Equally awesome was our guide Martin. I’ve been a birder and wildlife enthusiast for over 40 years, including trips all over the world, and Martin is as knowledgeable as any expert I’ve ever met. If you’re looking for an authentic and ecologically friendly wildlife experience in Australia, it’s hard to imagine that you can do any better than this.